The southern part of the drought area was expanded a little bit more. Let's see if it rains this weekend to aliviate things. That is an exponential leap in the D4 category from last week, 22% jump which I have never seen before (last week it only went up 0.04% in that category which equates to a 550X jump). I wouldn't be surprised if that was one of the largest jumps with this product since recording began. This is extremely frightening for the US food supply as most of it comes from this region, a once in a 500 year drought is coming . The way these are updated on a weekly basis have me questioning of their accuracy as it doesn't seem to evolve smooth at all as we can see. It will barely move in one category and then all of a sudden sky rocket. The D3 category didn't budge any % which seems unrealistic. Its as if they play catch up or something. I live in Southern California and I can't believe we just entered D4 drought! That's just insane!! Hopefully we can get lots of rain soon! Hurricanes are an amazing natural phenomena. While many are spiraling pits of evil that kill people or cause devastation, some are tame and stay clear of land. Good news for PR as the moderate drought has shrinked a bit but still there are deficits of rainfall. Tropical Storm Bertha—later a hurricane—passed near the southwestern tip of Puerto Rico on August 2. Bertha produced heavy rain, locally 6 to 10 inches or more, across the southern slopes of central Puerto Rico, with lighter amounts noted elsewhere on the island. As a result, there was a reduction in Puerto Rico’s coverage of abnormal dryness (D0) and moderate drought (D1). Despite Bertha’s rain, precipitation deficits still existed across parts of Puerto Rico at various time scales. In San Juan, rainfall from June 1 – August 5 totaled 6.01 inches (59 percent of normal), despite 1.67 inches of rain during the first 5 days of August. The area of moderate drought was expanded. Another abnormally dry week in much of Puerto Rico led to the expansion of D0 conditions through north-central parts of the state. Streamflows there have dropped to levels similar to the other abnormally dry regions in the Commonwealth. In San Juan, June through August 2014 are in aggregate the fourth driest such period since 1956, pending precipitation during the next 10 days. The area of moderate drought areas was trimmed a bit but still some areas remain. Thanks to the recent rains here,PR has less coverage of drought conditions. 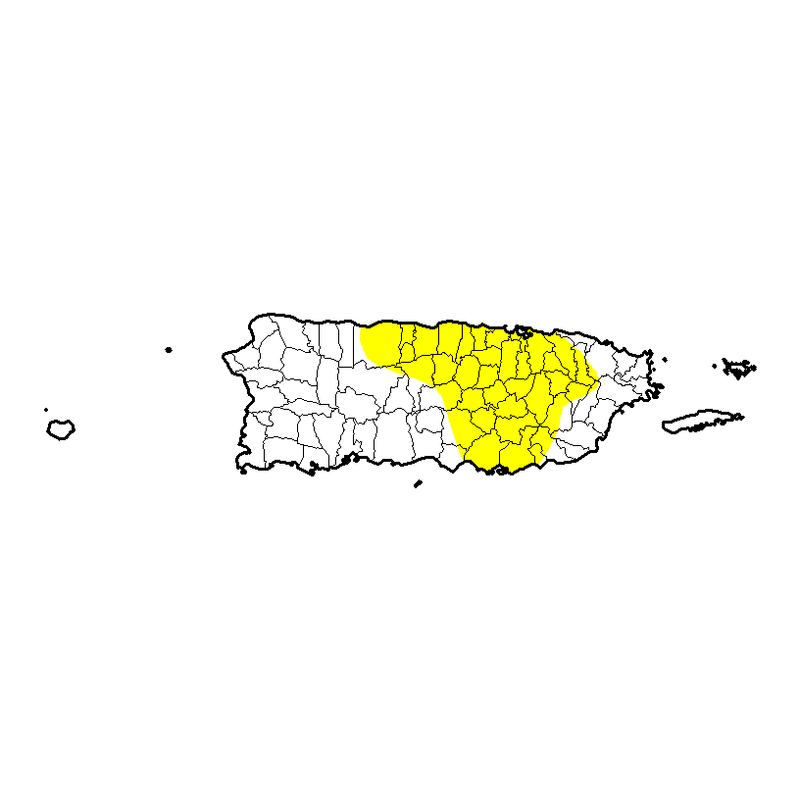 Thanks to the copious amounts of rain that the strong trough brought to PR and adjacent islands,we are almost out of the drought with only a small area in the southern part. A full 1-category improvement was necessary in response to the moderate to heavy rains (1.5 – 9 inches) that covered Puerto Rico. Abnormal dryness was retained where 60-day precipitation totals are less than 50% of normal. 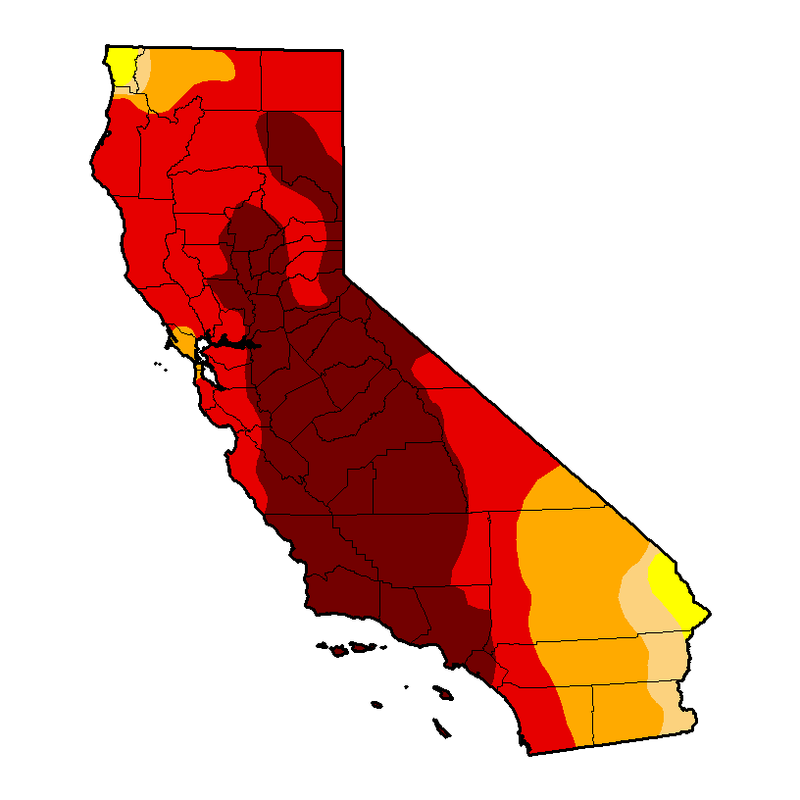 California is worse and worse with the drought. NASA launches satellite to monitor the droughts. VANDENBERG AIR FORCE BASE >> A NASA satellite lifted off early Saturday with the hope it will transmit data that will help the world do a better job of preparing for floods and droughts. Puerto Ricos drought has expanded on the latest advisory. Monitor expand the drought area in PR and expands to the island of Vieques. After a very dry April, Puerto Rico just can’t seem to shake this dry spell in early May, which is usually the time of year that they should be coming out of the dry season. (May and October are normally Puerto Rico’s wettest months of the year.) As such, streamflows on the island are suffering and fires are becoming more of a concern as the much-needed wet season approaches. This has led to the expansion of D0 across all of eastern Puerto Rico and the Isla de Vieques as well. In addition, an introduction of D1 is depicted this week in the southeastern reaches of the island east of Ponce and situated around the Guayama region. U.S Monitor expand the moderate drought area to include more areas of eastern Puerto Rico. The drought expands in Puerto Rico with some areas in severe drought status. Praise the Lord! The wet start to 2015 has all but eliminated the drought across all of Texas! The two maps below compare the drought now to one year ago. What a huge improvement! [quote="South Texas Storms"]Praise the Lord! The wet start to 2015 has all but eliminated the drought across all of Texas! The two maps below compare the drought now to one year ago. What a huge improvement! Isn't that a pretty picture! PR is going from bad to worse. Area of severe drought expands. Extreme drought was introduced and the moderate areas are expanded. It's not going to get much better for Puerto Rico and many areas of the Caribbean unfortunately. Shear from the El Nino has decimated any chances for tropical waves in the Caribbean, which compose a large part of the rain in this region, to be able to survive and bring rains. Short term help may come sporadically from weaker waves but in the long run it won't do much. I don't think it will get much better for the next 6-10 months as Nino climo isn't helpful.